Today’s column analyzes the Golden Gophers’ likelihood of qualifying for the NCAA Tournament, and also reports on how things are coming together for the 2019 Minneapolis Final Four. 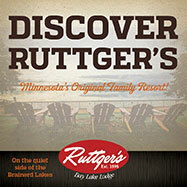 Coach Richard Pitino’s Gophers are 16-7 overall and 6-6 in Big Ten games after losing last night to No. 19 ranked Wisconsin. Now it’s iffy whether Minnesota will earn its way into the field of 68 for the NCAA Tournament. With eight regular season games remaining, plus at least one in next month’s Big Ten Tournament, the Gophers probably have to hope media authorities who have been speculating that eight, nine or even 10 Big Ten teams will make the tournament are correct. Kenpom.com now ranks Minnesota No. 52 in the country, a nod of optimism for making the NCAA field from the college basketball expert. The Gophers sit in seventh place in the Big Ten standings, a bit of a positive, too, regarding tournament hopes. The Gophers have played some quality games this season including wins over top 20 ranked teams, but at a minimum they probably need to win five more games. Even winning a few more games will be challenging. Minnesota is 1-4 so far in league road games, and five of the remaining eight regular season games are away from Williams Arena. Three of the last four are out of town including at Maryland versus a Terps team that could be the league’s most talented. With a cautious perspective, where do five more wins come from? Well, defeat Indiana at home on February 16, get road wins at Rutgers and Northwestern later in the month, and win two neutral court games in the Big Ten Tournament. Rutgers and Northwestern are conference bottom feeders with records of 4-8 and 3-8. That speculative path to the NCAA field would give Minnesota a 21-13 final record. Good enough? Perhaps, but 22-12 sounds better so maybe the Gophers can pull off a big upset against teams now ahead of them in the league standings, or win at Nebraska next week against a Cornhuskers group that has been a big disappointment to their fans. The Gophers have their strengths including double-double machine and senior forward Jordan Murphy. Freshman center Daniel Oturu has been developing in multiple ways and will probably be a star by next season. Junior guard-forward Amir Coffey is among the league’s most versatile players and when at his best can carry the team. But Minnesota struggles to score points. Consecutive losses this week to Big Ten powers Purdue and against Wisconsin showed that yet again, with totals of 63 and 51 against the Boilermakers and Badgers. The most evident flaw offensively is the team’s woeful three-point shooting. Last night Minnesota made one of 13 three-point attempts. Senior guard Dupree McBrayer exemplifies the frustration. He converted one of nine field goal attempts, including zero of four three-pointers, against Wisconsin. His season three-point percentage is 29. For the season Minnesota is making 30 percent of its three-point attempts. 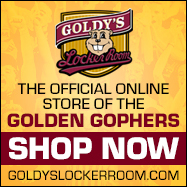 The Gophers rank last among Big Ten teams in total three-point shots made with 119. If the Gophers can dramatically improve their three point shooting, the prediction here of just three more wins will ratchet upward. Want to work as a volunteer for activities involved with the 2019 Minneapolis Final Four? Well, 3,000 other potential helpers are already on a wait list for volunteer assignments. Kate Mortenson, the executive responsible for executing things for the Minneapolis Final Four Local Organizing Committee, told Sports Headliners that 2,000 volunteer jobs were filled in one day back in December. To Mortenson, that speaks to the can-do spirit of Minnesotans. She said it seems like “everyone” asks how they can help. The attitude exemplifies the commitment of local residents to make sure things happen the right way. Mortenson has been paid to lead the Minneapolis Final Four effort since January of 2015. The 2019 NCAA men’s basketball title game will be on Monday, April 8 at U.S. Bank Stadium. Two days earlier four teams matchup in semi-final games to determine the championship entrants. Mortenson describes the Final Four as a multiple days event and emphasizes there is a lot more going on besides the games. The day before the semifinals the public will be admitted without charge to U.S. Bank Stadium to watch the teams practice. A fanfest takes place at the Minneapolis Convention Center from Friday through Monday. There will be interactive basketball games and clinics, a batting cage, climbing wall and other attractions, with kids 12 and under admitted free. The Minneapolis Armory will be turned into a music venue and the Nicollet Mall will feature entertainment to help celebrate the Final Four which is returning to the city for the fourth time and first time since 2001. Mortenson has attended four previous Final Fours and she is a convert to the family atmosphere and fun surrounding college basketball’s showcase weekend. “Now I understand why people go every year,” she said. 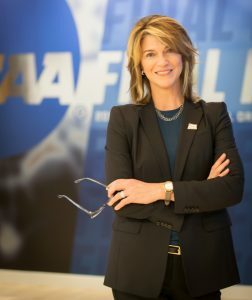 Talk to Mortenson for a few minutes and you hear not only the professionalism with which she approaches her work, but also the enthusiasm for the Final Four experience. “The student-athlete and the collegiate feel is undeniable, and infectious,” she said. “It is paired with a coach’s convention of coaches from all over the country, from middle school through college, D-I, D-II, D-III coaches. A consulting company estimates 94,000 visitors will be in town for the Final Four. A visitor is defined as a person who comes through the MSP Airport, or travels more than an hour by car and stays in local hotels. The 2019 Final Four has a projected economic impact of $142 million. Mortenson said the figure includes $23 million in taxes and doesn’t include consumer spending that otherwise occurs during the time of the Final Four. Mortenson worked in news for Hubbard Broadcasting before first taking the assignment to coordinate the Minneapolis bid to the NCAA to host the Final Four, and then later being named president and CEO for the local committee’s effort to stage the mega event. She and her 14 member staff have had their share of challenges along the way in counting down to championship Monday (she can tell you it’s 59 days away), but it’s also been a rewarding experience and impressive addition to her resume. Sadly their biggest flaw in the scoring category is they have no offense. Their offense could fall under the heading “Gma” which appropriately is an acronym for General Milling Around. Yes, they have no shooters but they also do not set proper picks either. One could continue the number of flaws that occur on a regular basis but the fact remains this is a huge deficiency that continues in the Pitino program and is extremely painful to watch. Will it get better? If it doesn’t his tenure will be very short lived.